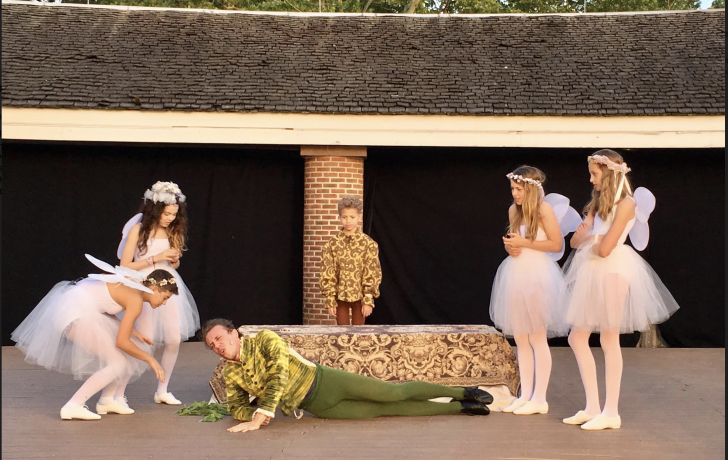 Shakespeare Downtown is returning to Battery Park's Castle Clinton this month with a production of A Midsummer Night's Dream. The play will be performed Thursdays through Sundays, June 14 to 24 from 6:30 to 8:30 p.m. There is no intermission. Tickets are free and available the day of the performance at the castle starting at 6 p.m. The company's founders, actress Billie Andersson and director Geoffrey Home, staged their first production at Castle Clinton, the country's first immigration center, in 2016 after 10 years of producing plays at the Lee Strasberg Theatre and the Film Institute. The performances at the castle simulate how audience would have watched Shakespeare's plays 400 years ago—in the open air, in the round and next to the water. Performances are cancelled if it is raining. Check the facebook page for updates.